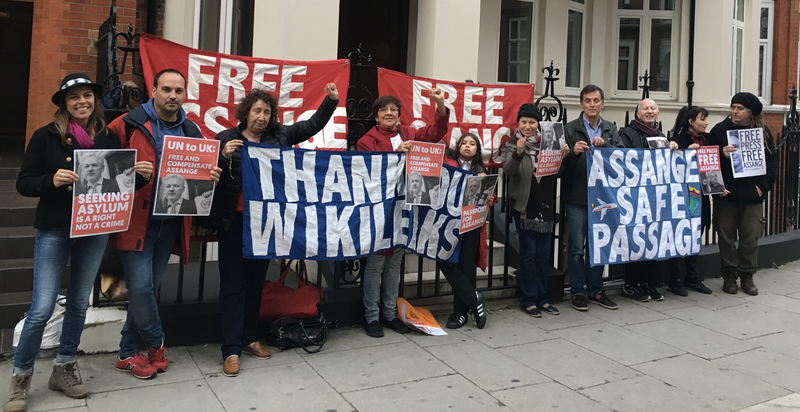 Raise your banners for the Freedom of Julian Assange the publisher of WikiLeaks! At a time when the UK government is shaking to its foundations we question whether we live in a real democracy or the political establishment is simply playing a role of political theatre beautifully choreographed all pomp, ceremony and ‘Right Honourable gentlemen and gentlewomen’ alienated from real life. Because in real life Julian Assange is the only Western publisher arbitrarily detained for more than eight years. In real life United Nations demands Julian Assange is set free, yet his isolation and unfreedom in the heart of London is orchestrated by 2 consecutive British governments that ignore with impunity their international obligations! These are the arrogant politicians and their kind who have brought about this outrageous detention and maintain it.